This beautiful soap is handmade, triple milled in a soft and sensuous Gardenia scent. 100g. 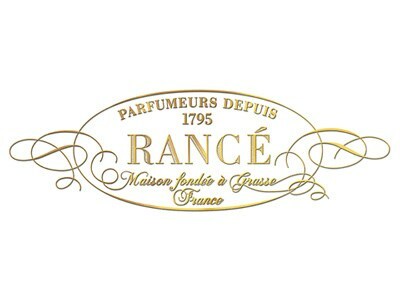 Rancé has proudly produced fine beauty soaps since 1795. The family’s closely guarded methods and formulas remain unchanged. Today, as in 1795, absolute & natural ingredients chosen for their freshness and purity are used according to strict traditional formulations. Rancé soaps are hand made, triple milled; hand wrapped and presented in hand made boxes making them a truly unique and specialized gift for any occasion. Rancé soaps are cooked for a total of 6 days allowing for three separate sittings where the soap formula is allowed to rest as impurities filter to the bottom and drain. After the third draining period, the soap formula is so pure that no preservative is required or contained in the soap. Fine fragrance is then infused into the formula, which will last the entire lifetime of the soap. The lengthy maturing period of one month of air-drying our soaps in controlled temperature and humidity strengthens the properties and allows for long lasting soaps and stabilizes the strength and durability of the perfumes. Trained staff then selects only perfect bars; as only Rancé is able to produce soaps with such fine etching. Rancé soaps are appropriate for even the most delicate and sensitive skin types. Some choose to use Rancé soaps to scent a room or a lingerie drawer as the fine perfumes and exceptional quality are considered the finest throughout the world.